I Don’t Understand. You’re Speaking Wires, We Speak Roads. 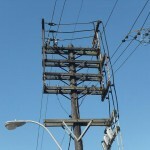 A unique relationship exists between electric utility providers and public administration officials. Without power, the response and restoration of essential services to a community will be delayed, causing undue stress on the entire population. During recent natural disasters, the power industry has been portrayed as a detriment to the response and restoration processes. Three areas need to be strengthened in this public-private partnership – communications, planning and execution. Communications is the key element to deal with a disaster efficiently and responsibly. Public administrators who manage disasters must have a relationship with their electric utility before a disaster strikes. When meeting your counterpart from the utility for the first time in an active emergency operations center (EOC), you are already at a disadvantage. Without a previous relationship, trust has not been established which creates more stress and a possible misunderstanding of responsibilities, duties and abilities. Coordination of objectives must be second nature before any damage has occurred. A new trend in the utility industry is the implementation of electric utility community liaison, who meets regularly with community and administrative leaders to establish and strengthen relationships, explain capabilities and build trust. When a disaster strikes, the liaison is dispatched to the community and tasked with being the conduit to pass requests and information between the community and electric utility and explain the how and why of power restoration. The liaison will work with the community to identify the priority of restoration of damaged infrastructure and suspended public services. Communications will flow back from the utility on possible actions and offer an estimated time of restoration (ETR). Once the foundation of a working relationship has been established and trust between partners has been built, both must work on ensuring unity of messaging to the general public. When the same information is passed to the community by the utility and public officials, the information contained in the message may create discontent, but as long as the information is accurate, verifiable and timely, the public’s trust is not broken and they can make informed choices when developing individual plans. Transparency builds trust. When you don’t have an answer, say so but get the answer as soon as possible. When a situation changes due to unforeseen circumstances and the old information is not valid, communicate the changes. If the public sees something different from what they are being told, walls go up, trust is diminished and they feel abandoned. To prevent inaccurate perceptions of policies, procedures and abilities, joint comprehensive planning is needed. The process should start when developing or updating plans and procedures. When a request is made to “just turn on Main Street,” clearly communication has not been effective in how the electric system functions. Conversely, if a utility employee is talking about restoring the “652 line,” it will mean nothing to the public administrator. Both are speaking about the same thing, but in different languages. Once that is understood, a language translation can be made from “wire” to “street.” Please leave a seat at the table for the utilities to give their input. Persuade the utilities to attend if they are not knocking down your door. Writing a plan that can’t be executed is not worth writing because it will create misunderstanding and distrust in the utility’s ability to perform their responsibilities. Electric utilities are constrained in restoration efforts by the number of qualified line workers. When damaging weather is predicted, a utility will estimate the probable damage and secure the needed resources. When predicted damage is greater than a utility’s ability to respond effectively, utilities activate the regional mutual assistance groups to provide help and allocate scarce resources to utilities in need, which can limit the number of linemen available to any given utility. A utility can declare a national response event (NRE) when disasters such as Hurricane Sandy occur. A national structure is established to monitor and allocate critical scarce resources, such as linemen or poles, to utilities in need. What this means is that no one company gets all of the resources, but rather a fair allocation based on damage and need. Another constraint on an electric utility is the time and manpower needed to perform damage assessment. This process can start only after the event has passed through the area. Once deployed, it can take up to 48 hours for damage assessors to capture enough data to prepare a credible ETR for release to the public. Equally important, communities need input into the utilities restoration plans. The utility needs to incorporate the priorities of the community’s critical community services such as opening blocked roads and restoring power to infrastructure such as police and fire stations and emergency shelters. Establishing a unified command will ensure a common platform, which cannot only make it easier to draw up coordinated incident action plans, but also to establish clear and accurate messaging to the public. The utility can take their part of the plan and perform the tasks required for the community to ensure the safety of the public and the restoration of daily routines of the community. Everyone loses when any part of the restoration effort cannot perform what was set in the incident action plan. The trust gained by training and history will help in understanding what each group can do. When goals are not going to be met, this information needs to be communicated without delay to all involved so plans can be revised. Unless a clear chain of command is set and understood before a disaster, communication can break down. By instituting unity of command – one official line of requesting critical resources and actions, misunderstanding of orders can be prevented. When conflicting orders are issued without going through the prescribed chain of command, not only is there misunderstanding but safety also is compromised. Electricity is the only commodity that the public purchases that can kill on contact, yet is vital to sustain our lifestyle. Safety rules are in place for everyday work and cannot be compromised during a storm. All involved in response to a disaster must be flexible to changes in the field but alert to issuing conflicting requests. If orders need to be changed, they must go through official channels. During execution of the plan we all must be cognizant of who is directing resources, who is speaking for the town and who is speaking for the utility. Customers whose expectations are not met will always be a factor and utility company personnel often ask themselves, “You want me to do what?” Electric customers deserve the best service that can be offered, but expectations may not meet capabilities. Some are deservedly angry because they are cold and don’t know if they should seek alternate arrangements, while others scream that they need power to their house because the ice in their indoor hockey rink is melting. When plans are developed by public administrators in combination with the utility, expectations of the community can be set at a realistic level, giving the community the best possible recovery from a disaster. When these important concepts become second nature, an optimum response and recovery effort from any disaster is ensured. As the title infers, once the public officials and utilities can speak the same language, restoration efforts will run with less confusion and be much more effective. Author: Tom Layton CEM is a doctoral student in the Department of Emergency Management at Jacksonville State University and is the team leader of emergency response for an electric and gas utility. He can be reached at [email protected].